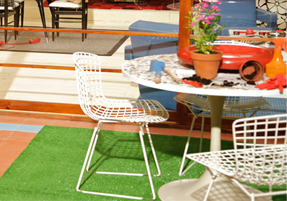 This iconic wire chair series was designed by Bertoia for Knoll in 1950 as a result of an experiment that involved bending metal rods into practical art. ‘If you look at these chairs, they are mainly made of air, like sculpture. 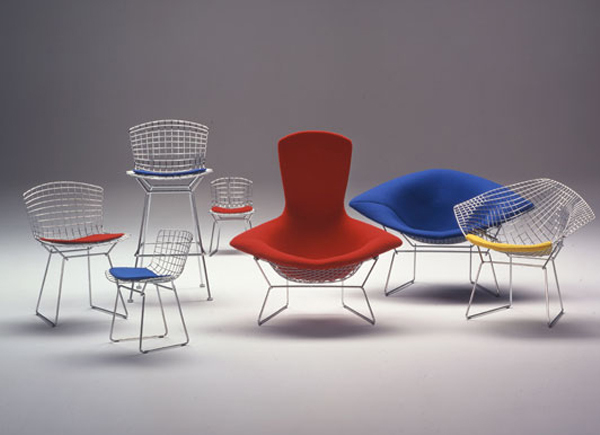 Space passes through them,’ said Bertoia.